Bill Lee’s Bamboo Chopsticks, Bakersfield, California, the early 1970s: my first experience with Chinese food and also the first time I ever had rice that didn’t come out of a box or a boiling bag. That meal was a revelation and the beginning of my lifelong love of Chinese food. From the Americanized Cantonese food of Bill Lee’s, I moved on to the more “exotic” Mandarin cuisine at Yen Ching, where I went out with my first serious girlfriend Lisa before prom, and discovered pot stickers, sizzling rice soup and mu shu pork. 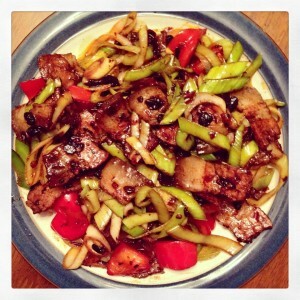 I’ve never looked back or stopped finding new Chinese dishes and regional cuisines to enjoy. I first cooked my own Chinese food in college from an encyclopedic Chinese cookbook that I picked up at the half-price bookstore. 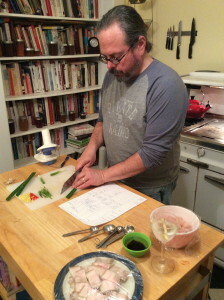 Since then, I’ve read and cooked from a bunch of Chinese cookbooks and stir fries and take out classics like broccoli beef and fried rice have been go-to favorites for weeknight dinners. 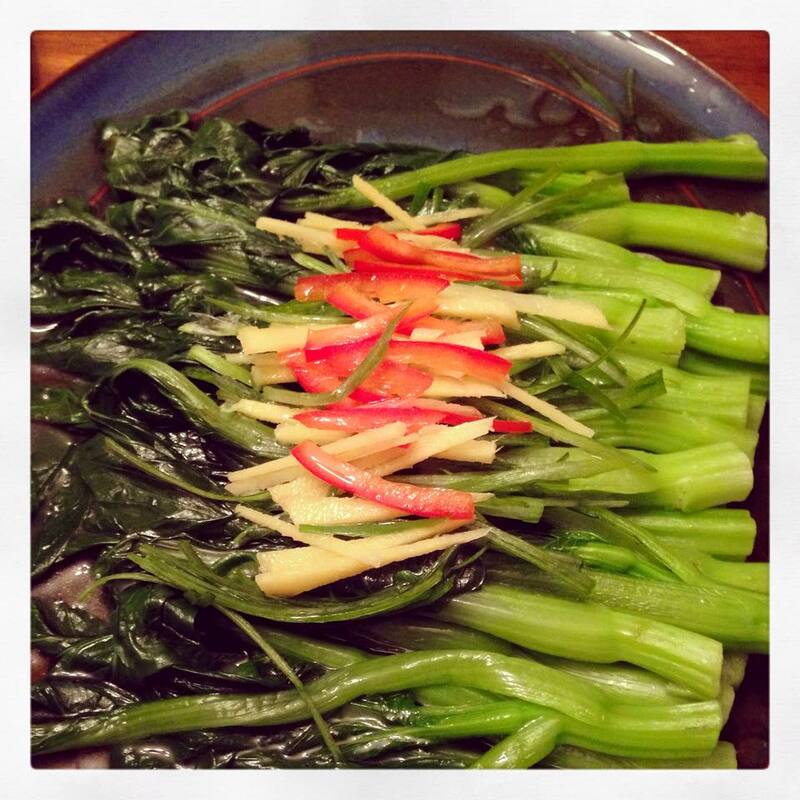 In recent years, some of my favorite resources have been Barbara Tropp’s classic The Modern Art of Chinese Cooking and China Moon Cookbook, which Kate introduced me to, and Jaden Hair’s delightful Steamy Kitchen Cookbook and website. My newest culinary love affair, though, is with Fuchsia Dunlop via her fantastic new book Every Grain of Rice. Don’t worry, Kate, I still love you, too. 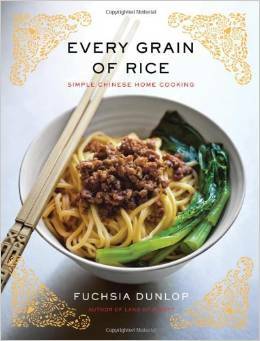 Every Grain of Rice is the first cookbook in a long time that I have literally been unable to put down. From the minute I got it home from the library, I’ve been reading it cover to cover. 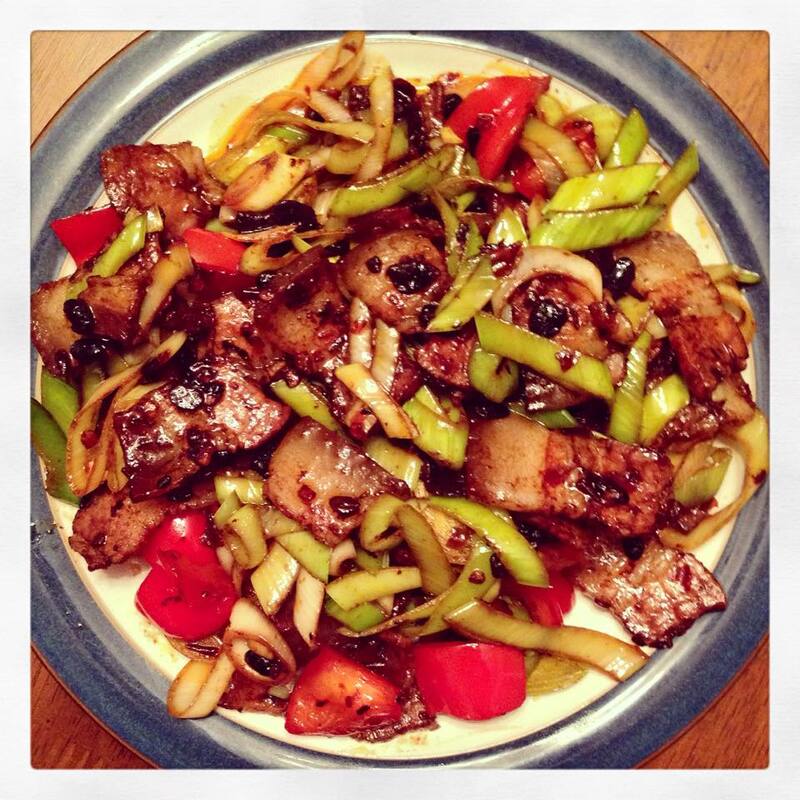 Fuchsia Dunlop draws on her years of travel and study in China and employs her clear and engaging writing style to explain what Chinese people actually eat at home. While most of the recipes are simple enough to make, the layers of flavor in the dishes that we have cooked so far have been stunning. 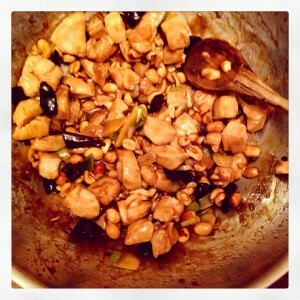 Some of the recipes we’ve made, General Tso’s Chicken, for example, which Fuchsia learned to cook in the Taipei kitchen of Peng Chang-Kuei, the Hunanese exile chef who created it, have been so memorable that we’re unlikely to order them in a restaurant again. I simply can’t recommend this book highly enough. 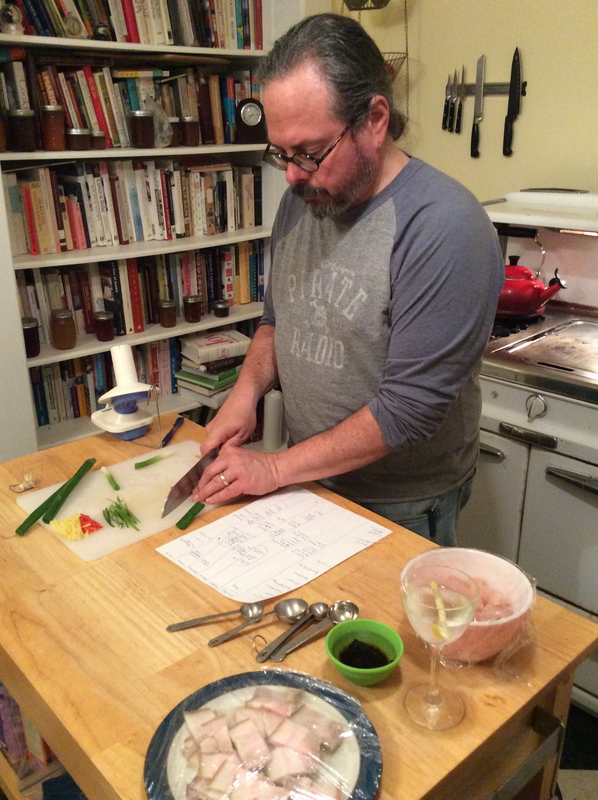 With this influence permeating our house, what else could Kate and I choose to do for a romantic Valentine’s Day but to cook an amazing Chinese dinner together? 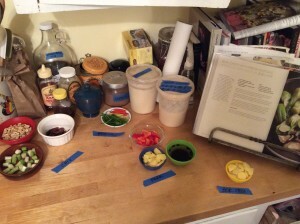 To make sure that all five of the dishes we were cooking came together without undue craziness, I made a chart of all the ingredients that needed to be chopped, soaked, sliced and marinated for each of the dishes and Kate organized all of the prepared ingredients by dish so that they would all come together without a hitch. And, with our signature teamwork, they did. 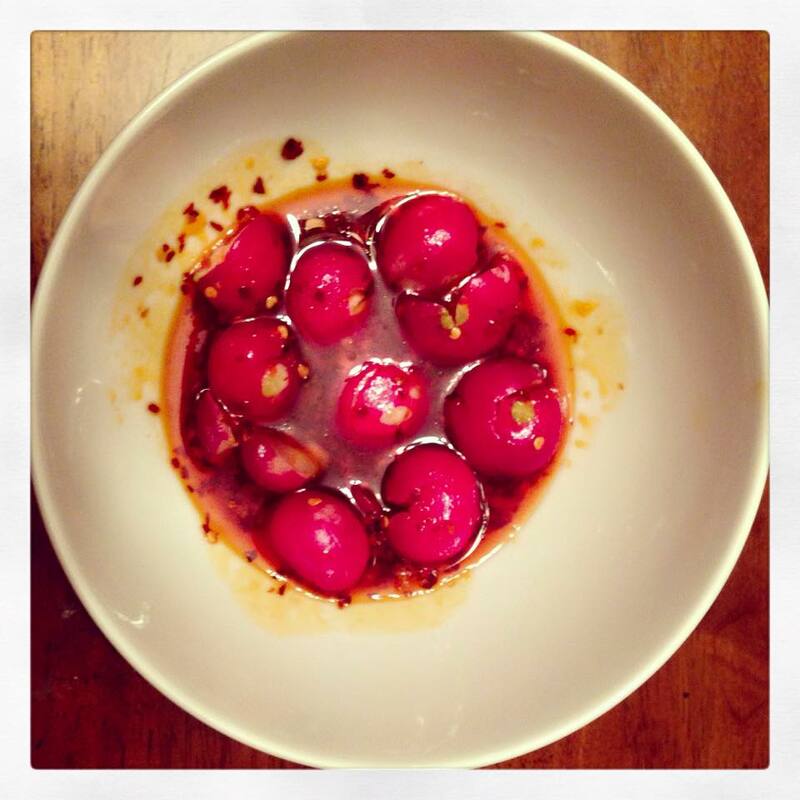 We started with Radishes in Chilli Oil Sauce, a simple but delicious cold dish of radishes dressed with soy, chilli oil and sesame oil and which has quickly become a regular in our go-to appetizer collection. We followed up with Bok Choy with Fresh Shiitakes, Chinese Broccoli with Sizzling Oil, Twice-Cooked Pork and Gong Bao Chicken accompanied by Tsingtao beer. 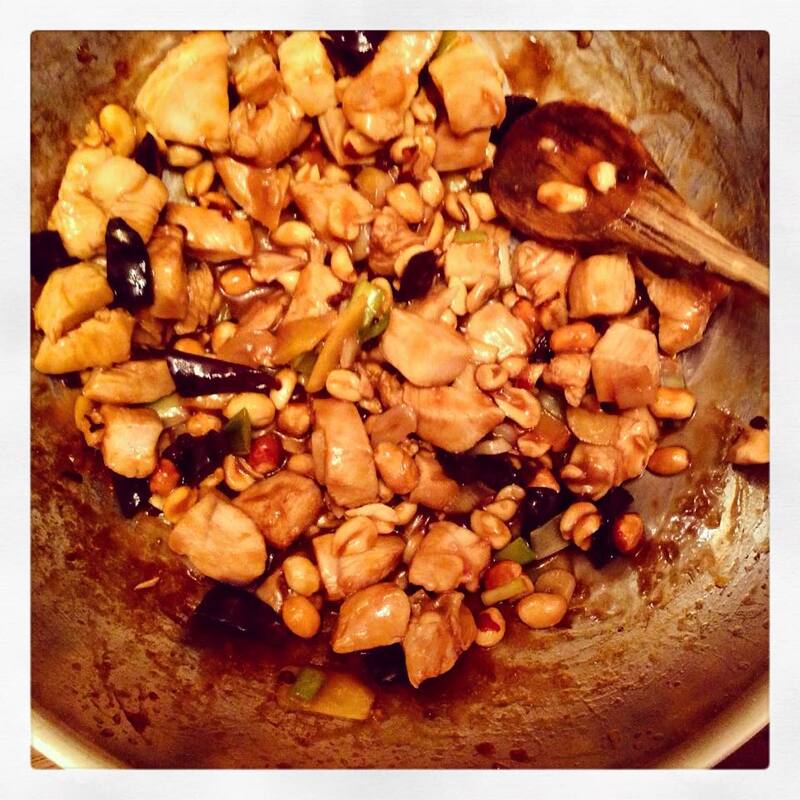 Every single dish was treat, and, at the risk of being immodest, the Gong Bao Chicken (often written as Kung Pao) was the best that either of us has ever had. The recipe that we’re going to share is for the Radishes in Chilli Oil Sauce, which, if you like them as much as we do, you’ll make over and over. Wash and trim the radishes and smack them lightly with the side of a cleaver or chef’s knife to crack them open. Salt the radishes and set them aside for approximately 30 minutes. Meanwhile, combine the remaining ingredients in a small serving bowl. After 30 minutes, or so, drain the liquid from the radishes, pat them dry with a paper towel and add them to the bowl of sauce. Mix well and serve.